Target Tuesdays- Because I Love Target That Much! Hey Guys!! I like this whole theme idea...each day of the week I can try to stick to a certain "theme". I may change it up from time to time, but for now , this works! Since I love Target so much, and I talk about things I find all the time...I am dedicating Tuesdays to talking about great deals, or favorite products at Target! It's affordable, and convenient. 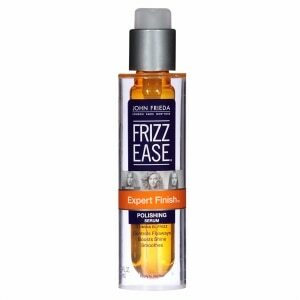 Right now I am using a few of the products from the Frizz Ease line by John Frieda. I am hooked on the straight fixation smoothing creme. I run this through my hair when damp and it helps tame my flyaways and helps my hair look sleeker and shinier while protecting it from any heat from the blow dryer or flat-iron. The GREATEST thing is that this is only $5.99! The other product I am really loving is the Hair Serum Thermal Protection Formula. Focus this on the ends of your hair to help the ends stay moisturized and shiny. This is only $8.99!